With the spring and summer months approaching, it’s time to shift those New Year’s Resolutions to something more career-focused. 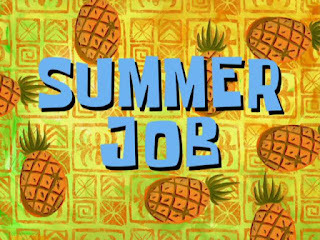 Why not spice up your summer job application with an e-portfolio? How to go about creating one you ask? Well, we've got the rundown to get you up to speed on establishing a strong online presence without the technical difficulties. Some online websites that assist with portfolio creation might have upgrade options if you’re looking to maximize your exposure. We recommend having a section for your resume for prospective employers looking for a quick snapshot of your skills. Once you get your sweet, new website running, be sure to make note of it on your cover letter to draw employers' attention to your work. Remember to stop by our Career Resource Centre and take advantage of our amazing resources if you’re having any trouble. Goal Setting in the New Year!